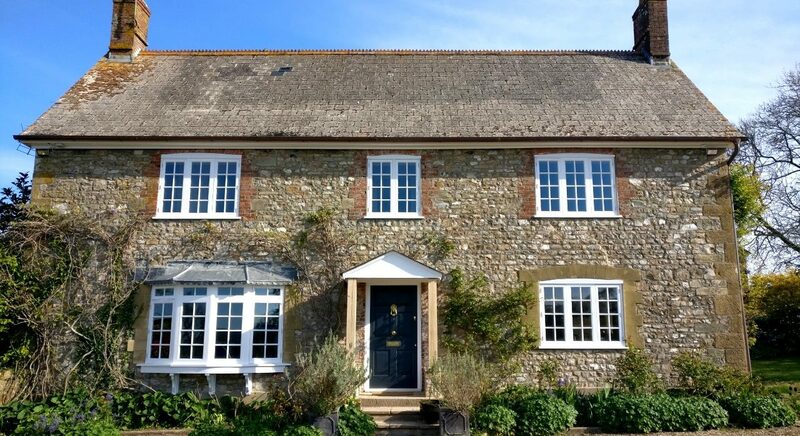 Renovation of traditional country farmhouse in West Dorset including extensive structural repairs, internal alterations, full renewal of services and new bespoke hardwood windows throughout. Complete decoration throughout, including all new windows and doors. Extensive re-modelling of front porch, side patio and rear courtyard. Many previously unknown or undiscovered issues were uncovered during the works on site, such a woodworm, rotten timbers, damp walls and hazardous materials. Solid communication and teamwork were employed by ourselves, the Architect and Client in order to enabled the completion of the works to be achieved with all parties thoroughly satisfied with the outcome.